No investment should be made based on emotions and sentiment. 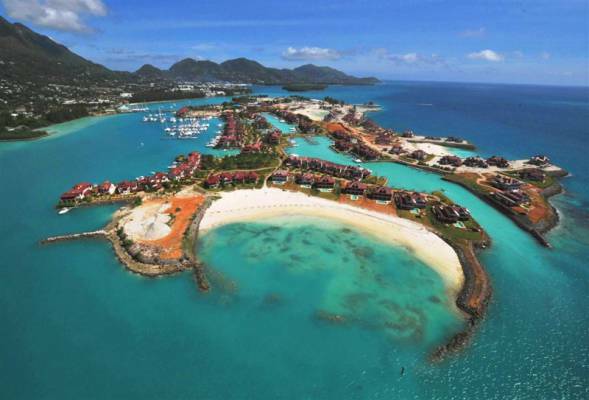 This is especially true for an overseas property investment in a place like Seychelles. It's easy to get swept up in the beauty of the islands and the dream of living in paradise. However, it's important to consider the economic facts before parting with your money. As an investor, you know that buying property should be purely a business transaction. The most important elements to consider are the location, the economic status of the area and what kind of growth it is likely to see in the future. This is why a development such as Eden Island is an ideal place to buy real estate. It offers you high-quality homes in an area that is experiencing a strong boom in both the financial and tourism sectors. Property owners on this estate are also given the choice of beautiful, exclusive finishes when building their homes. While personal preferences for design shouldn’t necessarily come into your investment decision, it is a good idea to consider aesthetics of the building. This will have an impact on the amount you can ask for when renting out to holidaymakers. It’s important to note that real estate is one of the simplest ways to build and hold wealth, if you choose the correct location and type of property. Waterfront property – It's no secret that the accommodation situated on the water's edge is always popular. This helps with keeping the value of your investment high, even in tough economic times. On Eden Island each home has water frontage, an uninterrupted view of the Indian Ocean, as well as access to several private beaches. Proximity to the main island and capital city – Eden Island is connected to Mahé by a 300m bridge, meaning you get easy access to all of the facilities available on the main island. The international airport for Seychelles is also located on the outskirts of Victoria (on Mahé), making travel to and from the country simple for tourists staying on the estate. Rental returns – Should you choose to rent out your property to holidaymakers, you can expect to see a healthy return of around 5% annually. This is largely due to the fact that Seychelles enjoys excellent weather year round and is therefore always attractive to tourists. Resale value – Annual capital growth for properties on the development is currently between 10 and 20%. This means that you should see a healthy profit on your investment if you choose to resell in the near future. Contact Eden Island today to make an overseas property investment in Seychelles using your head and not your heart.